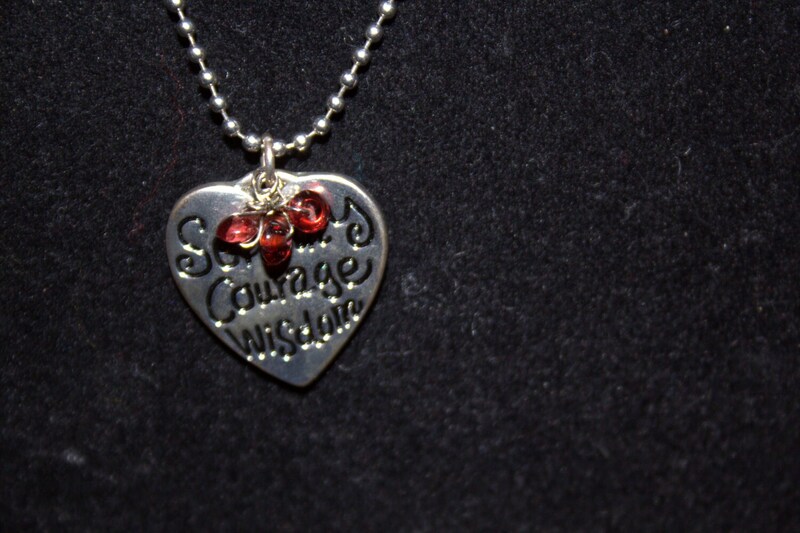 This necklace has a silver toned, stamped heart with the words Serenity - Courage - Wisdom engraved on it. 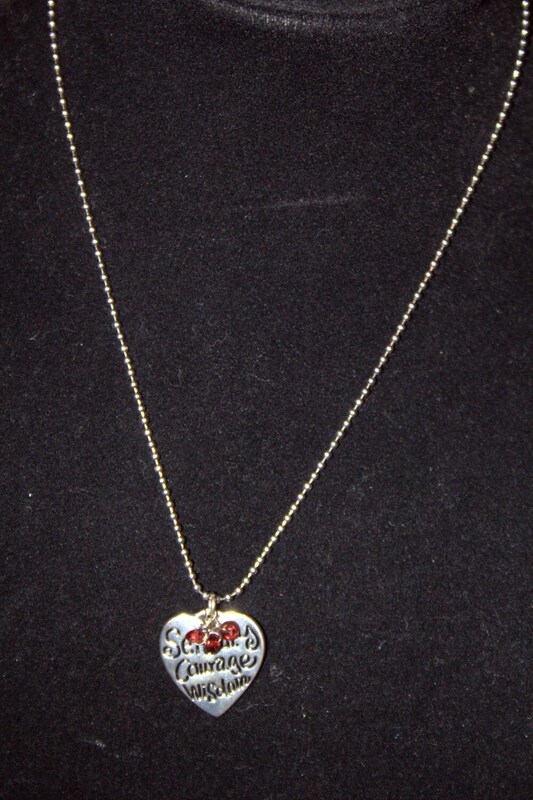 It is hung on a simple silver toned ball chain with a lobster clasp and is accented with three garnet chip dangles. Elegant and simple.